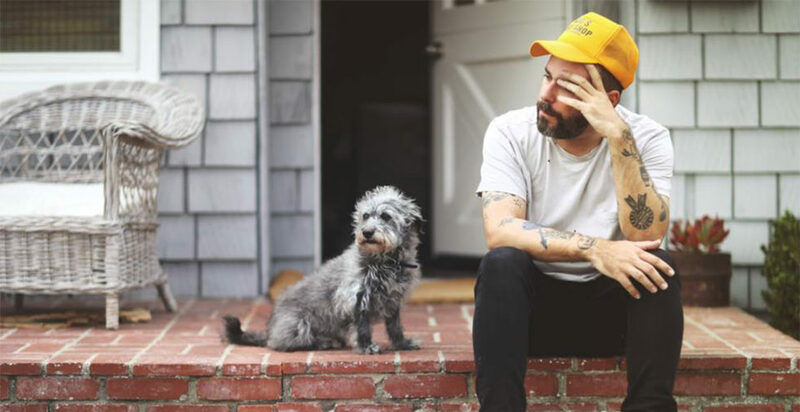 American folk singer and songwriter Greg Laswell released his latest studio album, titled “Next Time” in September of last year. The artist, who is currently on a tour in support of that release, will be playing a show at Eddie’s Attic in Atlanta on Jan. 20. The California native recently took the time to speak with the Technique about the tour, his musical influences and other aspects of his life. Technique: I’ve seen you likened to Leonard Cohen. Have you been influenced by his music? Are there any other artists you draw inspiration from? Laswell: You see, that’s such a flattering comparison, but I honestly don’t see it. I’ve seen it used quite a few times and it’s really nice but I don’t particularly find myself listening to him a lot or drawing any inspiration from him. Instead I find myself more influenced early on by rock artists like Peter Gabriel, Radiohead, and REM. Technique: So, this new album, “Next Time,” was written, performed, produced and mixed by you. How did you become so in control of the music process? Laswell: I’ve always done records on my own, except for the last two before this. It just sort of evolved that way. I really love to do it. It means I can control every aspect and make little tweaks everywhere and try to get it as close as possible to finished. For this record specifically, given the subject matter, and that it was so emotional, I just sort of thought that I had to do it alone and make sure it was all mine. Technique: That’s incredible, what kind of creative liberties does it give you? Are there any pitfalls to doing everything for an album. Laswell: Oh, definitely. It becomes very isolating, actually. It can get really sad. It does allows you to take more risks and make more mistakes, though, which can lead to some great songs. Technique: The album art from “Next Time” is really unique and original. How did it come to be? Is there any specific meaning behind it? Laswell: Yeah actually, it started as a derivative of the first song on the album, “Royal Empress.” My friend, Marla Frazee, who’s an artist, did it just after listening to the record, so that’s really special. It’s not just about “Royal Empress” either, it draws pieces from a lot of the songs on the record, like obviously, “Supermoon.” I really love it, though, it looks so different than all my other records. Technique: A lot of your songs have been featured in television shows. Is there a show you’d like to have feature a song from your newest album? Laswell: Whoa, that’s a hard question. I don’t really watch any of the shows that use my music. I guess it’d be pretty cool to hear one of my songs on a show I really enjoy, though. Probably like an HBO show, I love watching HBO. Or, actually probably, “Killing Eve!” I’ve been watching that and it’s incredible, I think a song from “Next Time” could work well there. Technique: You have said that “I’ve found over the years that it often takes one song, or one moment in a song for me to see clearly where the record will head.” For “Next Time” was there a song that sort of set the pace for the rest of the album? Laswell: “Royal Empress” was definitely that song, once it was finished and produced I knew what direction this new album was going in, and I really just jumped into the rest of it. Technique: “Royal Empress” is the first track on this album, did you record the songs on “Next Time” in order? Laswell: No, not really. I switched around the order of songs. I rarely finished one song completely at once. I sort of work on them all at the same time, adding bits here and there. I know people don’t really buy full records anymore, but I still pays attention to the flow of the songs and how one leads to another. Technique: You’re quite prolific; “Next Time” is your eighth studio album. What is the one song you’d play someone from your discography to introduce them to your music? Laswell: Whoa, a hard question for sure. I’d probably pick “Comes and goes in Waves” off of “Three Flights From Alto Nido.” It’s the one track that’s most popular. It’s been played in a lot of films and stuff, people really seem to enjoy it. It sort of took off on its own and got its own legs. Technique: What was the most challenging part of making this album? How did you overcome it? Laswell: All of it’s a little challenging. But, specifically, I’d say knowing when it’s done. Really I don’t overcome it, it’s just that I have a deadline. Deadlines are good, they force you to be done. If I didn’t have deadlines I would never finish anything. Laswell: See, I don’t listen to my own music after it’s out. I can’t, it would drive me crazy, just like you said I’d want to change it. So, I sort of give it away when it’s released, I don’t own it anymore, it’s the listeners’, the fans’. Technique: Other than music, what can you be found doing in your down time? sometimes. I actually really love dogs. On social media cute animal accounts are my favorite accounts to follow. I’m always retweeting WeRateDogs. Technique: You’re on your own tour now! What’s the best part of touring? Laswell: Touring is great, I love to travel around and play different places. Between shows, I love stopping at truck stops while I’m on my bus. Technique: So you’re coming to Atlanta on January 20th! Have you played here before? Is there anything distinctive about this city? What are your favorite venues? Laswell: I actually haven’t been to Atlanta in years, like probably seven or eight. So I don’t actually remember. I’m excited to be back though, I’m sure it will be a great show. My favorite place to play is close to home in LA, there’s something special about southern california. Other than that, probably Webster Hall in New York City.